Use this resignation letter if you are going to leave your job as Financial Adviser. Depending on how your organisation works they will require either a printed letter or an email stating that you are resigning from the company and do not use the letter as is, amend it as suitable. 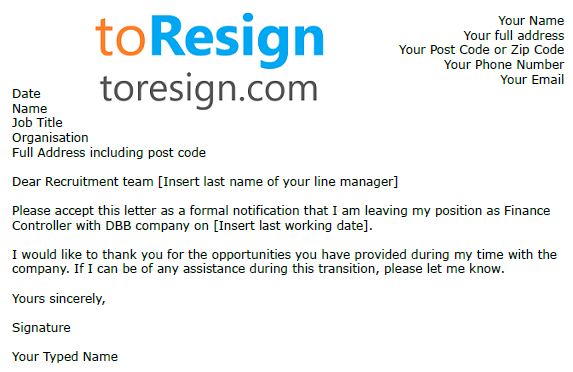 Please accept this letter as a formal notification that I am leaving my position as Financial Adviser with DBB company on [Insert last working date].